As a kid, i was always fascinated with flight, specially that of our wonderful flapping friends, the birds. My very first flying toy was the Schylling Flying Bird, which was powered by a big rubber band. 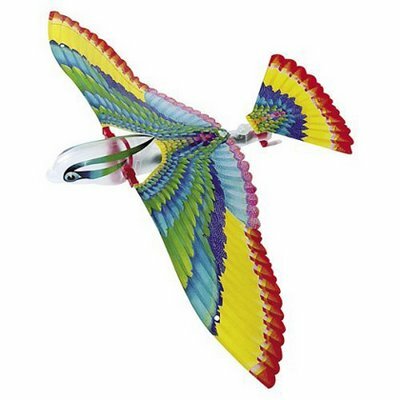 The Flying Bird was and still is a classic toy that has been around for 30 some years. You simply wind up the bird and it flies by flapping its wings and can go up to 50 yards. 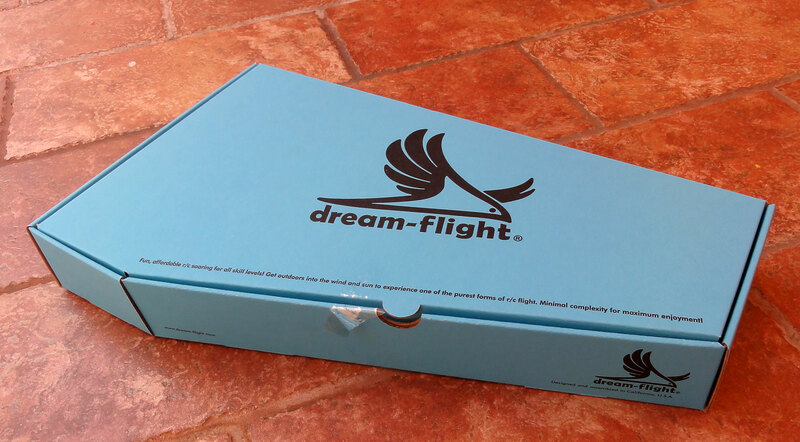 FlappingFlight is a company that has produced a wonderful replica of this plastic flying bird toy i mentioned above that is in my opinion one of the more solid designs when it comes to ornithopters. 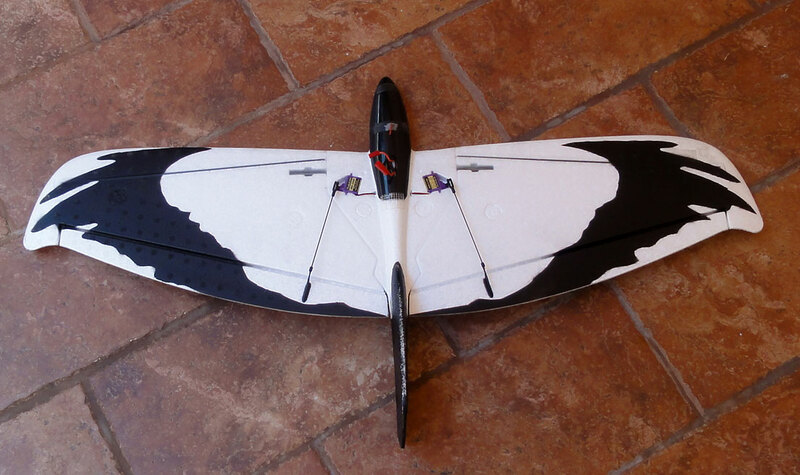 a 48″ wingspan 29.5″ overall length and has a 500 sq.in wing area a total of 15 ounce flying weight, the Slow Hawk is a CAD designed, CNC manufactured 3 channel RC ornithopter designed by Sean Kinkade . It comes “almost ready to fly” ( ARF) with a high level of pre-assembly. 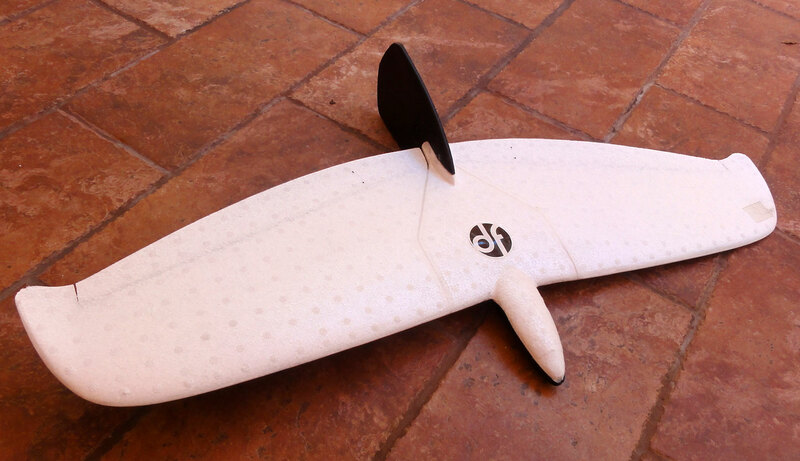 The Slow Hawk can alternate between flapping its wings for elevation and straight flight or simply gliding flight at your command. It has a soft, gentle glide when locked in with the glide-loc, but also glides well with the wings in the up position for fail safe landings. Wingsail and tail are made from top quality zero porosity, UV resistant, polycarbonate coated rip-stop fabric and Dacron. 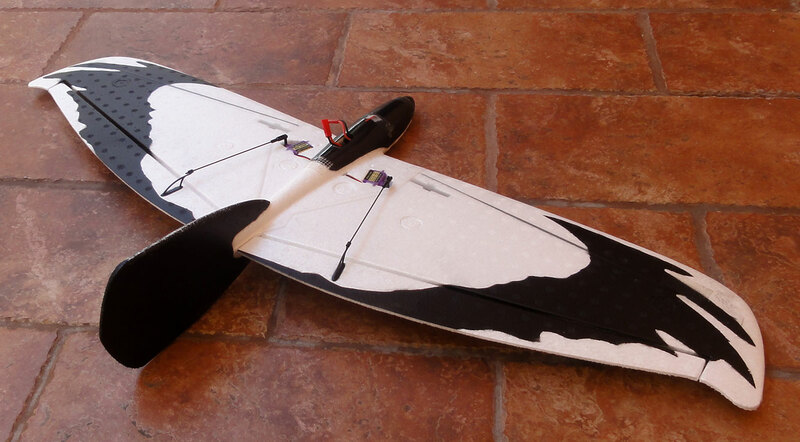 The fuselage frame is CNC machined from durable G-10 epoxy-glass which is weatherproof and extremely durable yet light. 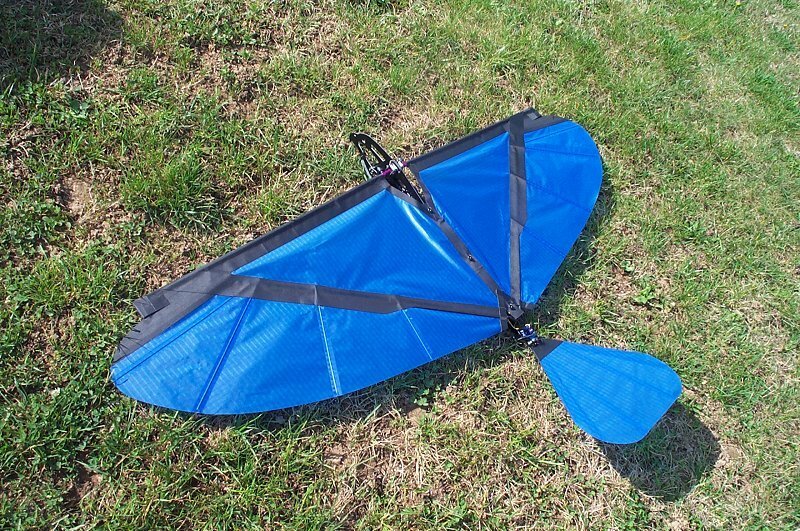 Kit features solid carbon wing spars, Delrin and steel gears, precision CNC machined aluminum parts, large choice of colors, high efficiency design.